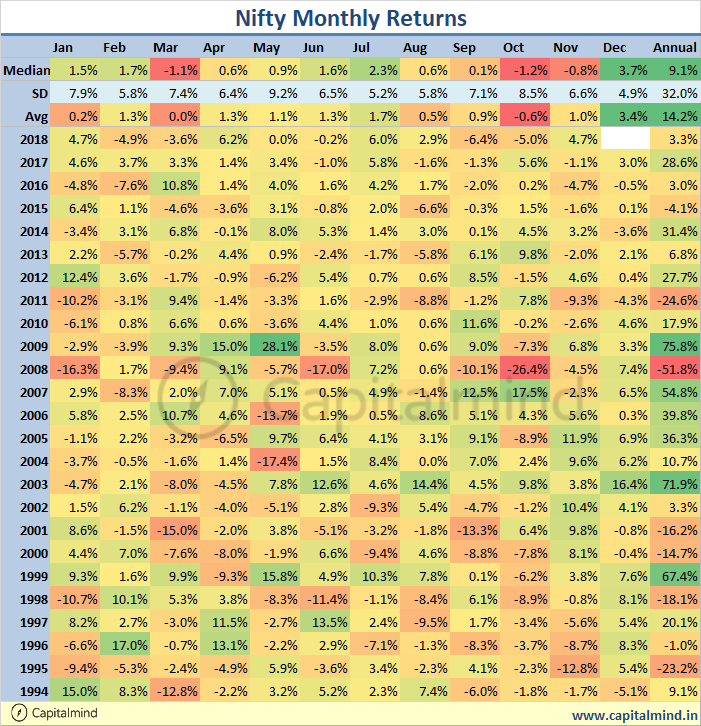 The month of November was kind on the Nifty but not quite as much on the broad market. 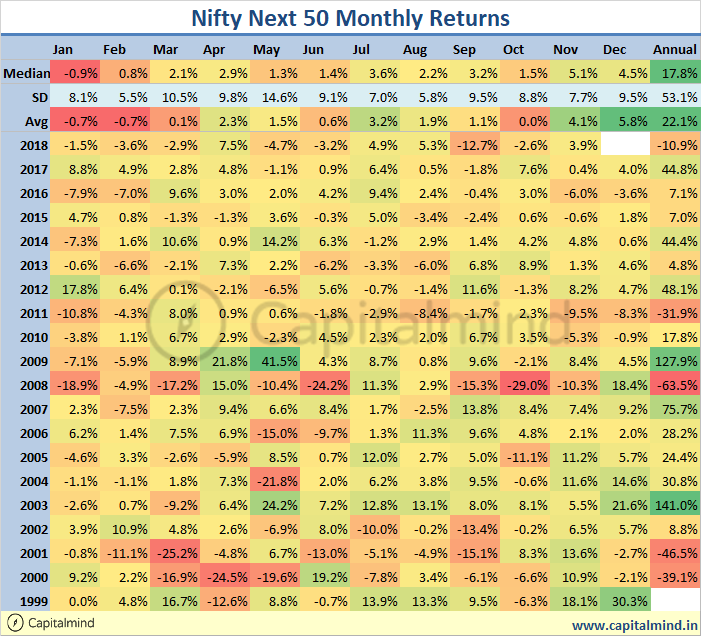 The Nifty went back to positive territory for the year, with a near 5% month in November. Some of this is the return of the FIIs, of course, who have had a positive month. The Next 50 wasn’t so lucky for the year, it’s still down 11%. And the even broader market, the CNX 500, saw a 4% return, but it’s still down for the year. Almost all the action seems to be in the Nifty stocks, though if you look at earnings the strongest earnings growth is outside the Nifty. This market is much more about money flow and money is flowing to the largest of the companies out there – over time, though, the better companies will rise up – so as much as this looks strange so far, it’s all in the building of opportunities for the future.